Today, I visited the Lauinger Library at Georgetown University. The bulk of my research was in the David Rankin Barbee papers contained in the library’s Special Collections. As an aside, I also looked at the Earl H. Swaim collection located in the library’s holdings. The Swaim collection contains many of the papers and correspondences of Finis Bates, W. P. Campbell, and Dr. Clarence Wilson regarding Booth’s postmortem wanderings. While a plethora of evidence disproves their claims of Booth’s escape, the theories nevertheless continue to survive. The most interesting item located in the Swaim collection, is one of the cornerstones of the “Booth escaped” doctrine. 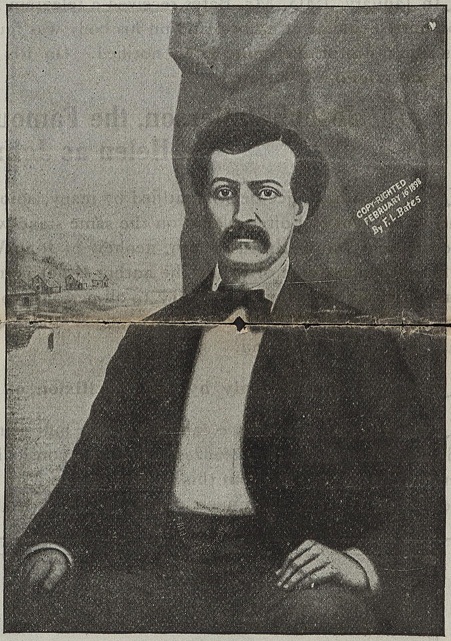 According to Finis Bates’ book, The Escape and Suicide of John Wilkes Booth, a man known to him as John St. Helen called upon him in Granbury, TX when the latter believed he was on his deathbed. He informed the attorney that his real name was not St. Helen, but that he was, in fact, John Wilkes Booth. A few days later, St. Helen survived his illness and freely told Bates his whole story. 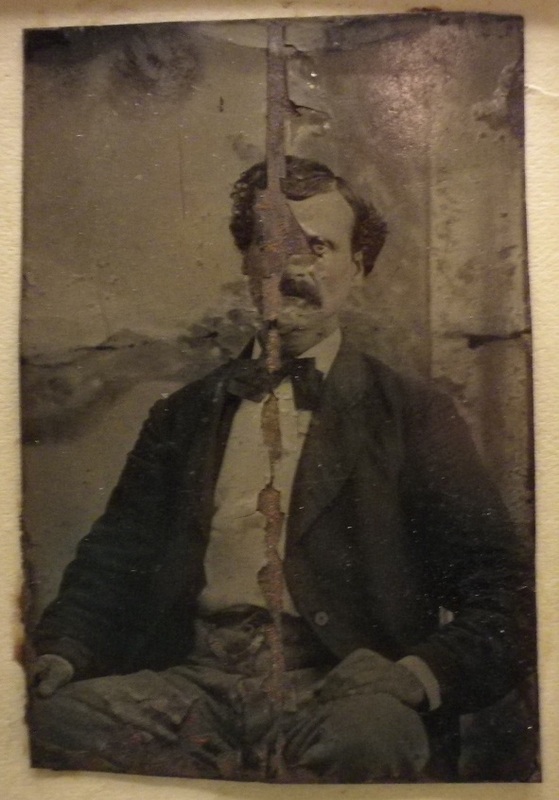 He also presented Bates with a damaged tintype of himself so that someday, if he should choose to, he could substantiate his story as the truth. Then St. Helen left town. This tintype given to Bates by St. Helen was taken in Glenrose Mills, Texas in June of 1877. Bates would have several paintings done of the conspirators in preparation for his book and his traveling showcase of St. Helen’s body. 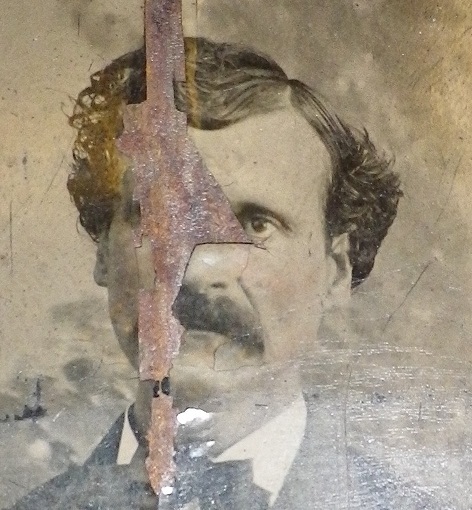 In addition, he had the tintype painted as a complete portrait. 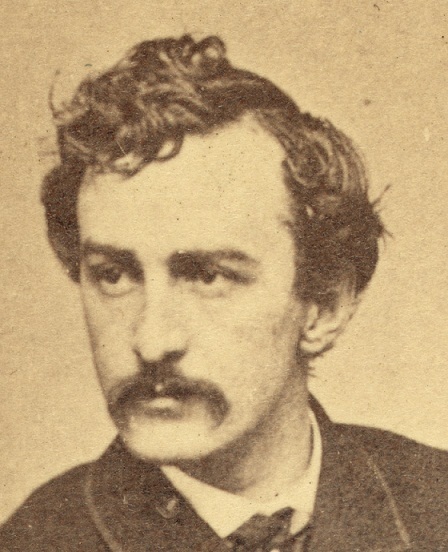 In my opinion, John St. Helen does not even look like John Wilkes Booth. Similar to so many eBay auctions claiming to be unseen images of Booth, St. Helen is merely a mustachioed man with wavy hair. He lacks Booth’s distinctive Roman nose and has different eyebrows and face shape than the real McCoy. While this picture has been the reason for so many years of historical malpractice, it was still an interesting experience to view and handle it firsthand. Epilogue: Right before posting this I saw (via the Lincoln-Assassination forum) that a new indie movie will be coming out with the John St. Helen story as plot line. I found the timing eerily appropriate. Granted, Tim. It would be interesting to see what John St. Helen looked like at a younger age. Perhaps when he was much younger he more closely resembled the dead assassin he later impersonated. I find it most interesting that John St. Helen’s autopsy revealed not only a scar that Booth had but revealed a break in the same leg that Booth was said to have broken upon his jump to the stage. Why is a DNA test not allowed on the person in Booth’s grave? Does that person that is in that grave have a broken leg as Booth was said to have had? Why won’t the state allow the corpse to be dug up and test to be done? All curiosities. Inverted V above the ear canal, ear shape and scar on left side of lower lip show similarities. John St. Helen was not John Wilkes Booth. When studying the two photographs you’ll see differences in the eyes, nose, ears, chin. All you gotta do is simply study the photographs.